When she attended Reunion earlier this year, Johanne Pryor ’61 was overwhelmed by fond memories, like the Odd class traditions, and the many changes on campus. In addition to her support for the College and donating her class ring in the past, the event prompted her to make a sizeable bequest to support scholarships for women pursuing degrees in science, technology, engineering, and math (STEM) at Randolph. A mathematics major at R-MWC, Pryor worked at IBM in Washington, D.C. every summer during college. Upon graduation, she was hired by the company and served primarily in marketing and customer support departments for 31 years. During her career, she witnessed firsthand not only the transformation of computer technology, but also the changing role of women in the workplace. 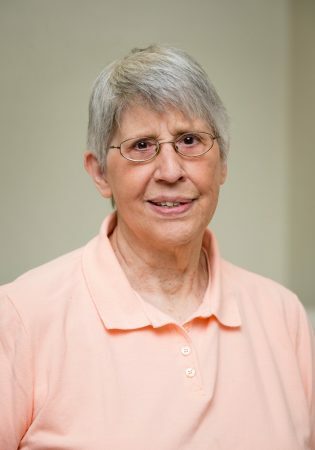 Following her retirement, Pryor moved to the New Bern, North Carolina, area where she continued to use her communication skills as activity director for a local senior center. She now volunteers for several organizations focusing on senior needs, including the Neuse River and North Carolina Senior Games. At Neuse River, she acts as coordinator for an event that includes six counties. Pryor remains engaged with her alma mater and many of her classmates and said she believes strongly in the College’s continued mission to provide a high quality liberal arts education to women—and now men. Find out more about planned giving to Randolph College at http://randolphcollege.planmylegacy.org/wills-and-living-trusts, or contact Marianne Ramsey, major gifts officer, at mramsey01@randolphcollege.edu.